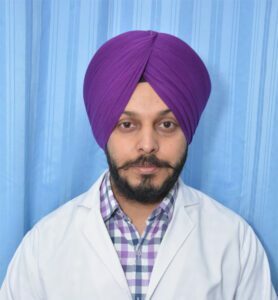 Dr. Kulwinder Singh did his M.B.B.S from Govt Medical College Patiala and Post Graduation Orthopaedic Surgery degree (DNB Orthopaedics ) from GMCH Chandigarh.He had done his Senior Residency from a private Medical college. Further he did Fellowship in joint Replacement (Arthroplasty) from Fortis Hospital Mohali. After completing Fellowship he gained experience of Orthopeadics Trauma and Joint Replacements in Fortis as Attending Consultant .